Network Time System provides a solution to system time maintenance problems. This powerful client/server software enables you to set up a virtually fail-safe synchronized time environment for networks of any size and complexity, from small office networks (LAN) to those maintained at large enterprises (VPN, VLAN, WAN), from single site networks to those including numerous domains and involving complex routing techniques. 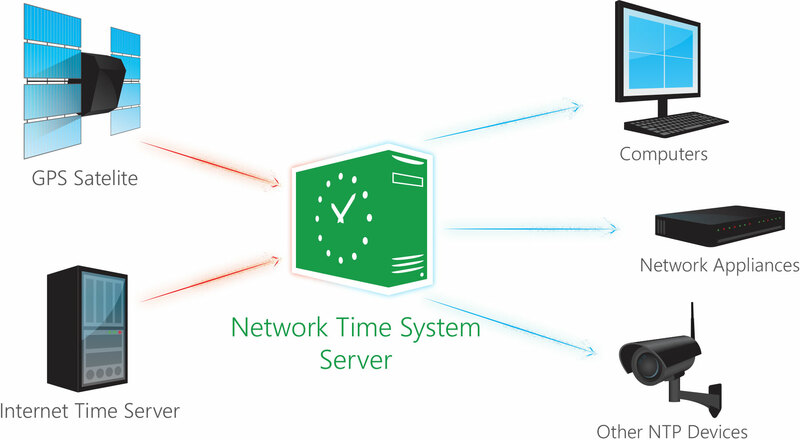 Network Time System allows the creation of a custom source of precise time in a corporate network environment establishing an interconnected time synchronization system for each and every machine and device on the company network. Set up your own single or multiple time servers capable of hosting and operating thousands of time clients (workstations or any NTP/SNTP compatible devices). Network Time System supports both its own proprietary time protocol and the world's most widely-used NTP/SNTP and NMEA 0183. Deploy Network Time System (Client) through Group Policy to all your Windows-based computers in just a few minutes. Install, move or delete your original/additional/updated licenses with ease using a built-in license manager. This tool also allows you to distribute and synchronize all your licenses across the network. Network Time System (Server) and (Client) are native 32 and 64-bit compiled executables. Both run as a system service and support all modern versions of Windows, from Windows 2003/XP to Windows 10/Server 2016. Using this unique feature, customize the source time (for example, received from an NIST NTP Server) and distribute it to the time clients. Keep your time synchronized with UTC or convert it to the local time, add or deduct any number seconds/minutes/hours from the source time to have your own time offset. Allow or disallow limited users to configure Network Time System (Client) directly from the Network Time System (Server) interface.